DC has so many different police departments, from the uniformed Secret Service to the Park Police, Capitol Police, FBI Police, and, of course, the Metropolitan Police Department. They all look a bit similar in uniform. 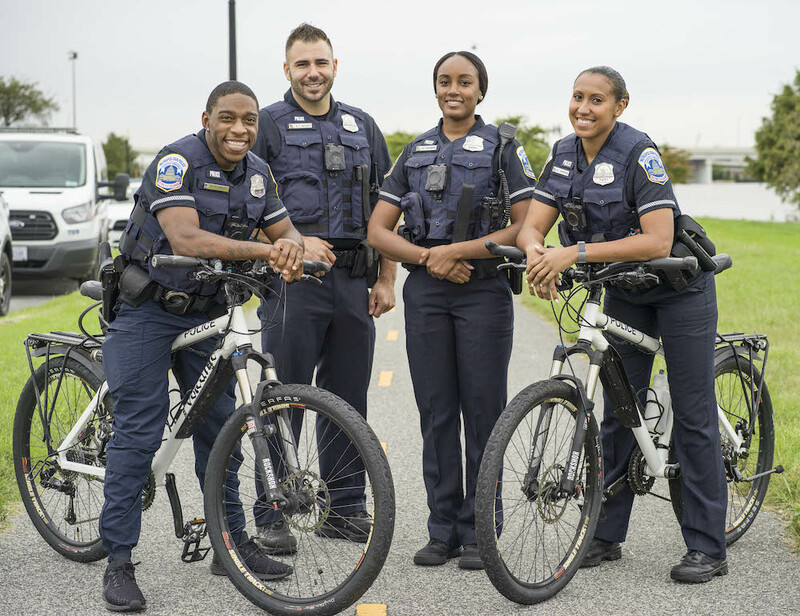 Well, MPD announced that it has rolled out new uniforms to officers across the city at the beginning of the month, and gone are the soft blue shirts the patrol officers wore, replaced with a darker set of uniforms that offer comfort benefits. According to MPD, the new uniforms are more durable and have a built-in suspension system to help officers carry all the equipment they’re expected to bring with them while on duty with less back strain. Plus, the new uniforms cost less and are more readily available on the open market, making it easier on officers to purchase what they need, wash them, and so on. Petworth’s own PSA 407 MPD Officers Benson and Ferrufino-Lopez show off the new uniforms. Sergeants and below will be in the new uniforms, while lieutenants and above will remain in the white shirt uniforms. MPD says that the new darker uniforms will make it easier to identify MPD officers from other law enforcement agencies. Eh, maybe… the powder blue shirts MPD used to wear were very easy to identify. A lot of other agencies in DC wear dark uniforms, so color alone probably won’t help you identify one from another. But if these are more comfortable, easier to maintain and help distribute the weight of their gear, cool.